Listening to adorable animal sounds and music. Keep your child entertained while he plays his fun musical tunes. 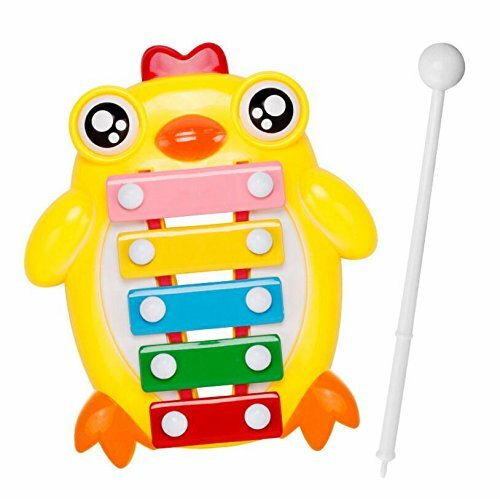 Cute colorful dog shape pull along toy with Xylophone Multifunctional design. Size measurement as shown in the picture. Made of high quality wood and environment-friendly water-based paint, with smooth surface and curves. It has eight colors steel piece for child knock out wonderful music. Traction rope design makes child pull it to play everywhere. Learn to identify colors and remember tones to develop children #39;s memory ability. The melodious sound can stimulate kid #39;s hearing, and concentration . Encourages fine motor skills development, and promotes hand-eye coordination Recommended for kids age 12 months and up, the best gift choice for kids. Great fun for your baby and child. If you have any questions about this product by Polymer, contact us by completing and submitting the form below. If you are looking for a specif part number, please include it with your message.